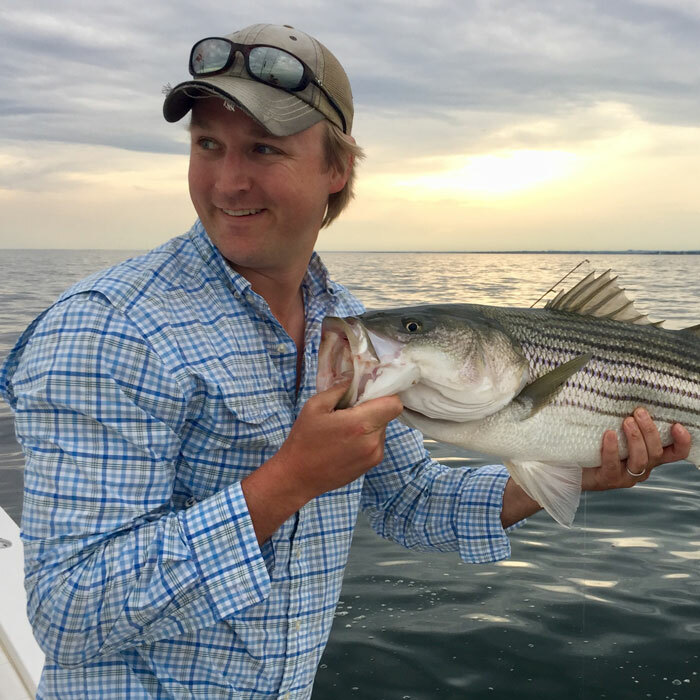 Years ago at the Brunswick School in Greenwich, CT, a student put two and two together: he realized that his friends Scott and Ian both loved Martha’s Vineyard and music more than anything else. He immediately introduced them. The rest, as they say, is history. Just like Shep and Ian, Scott grew up on the water. “I’ve always had an affinity for the water. 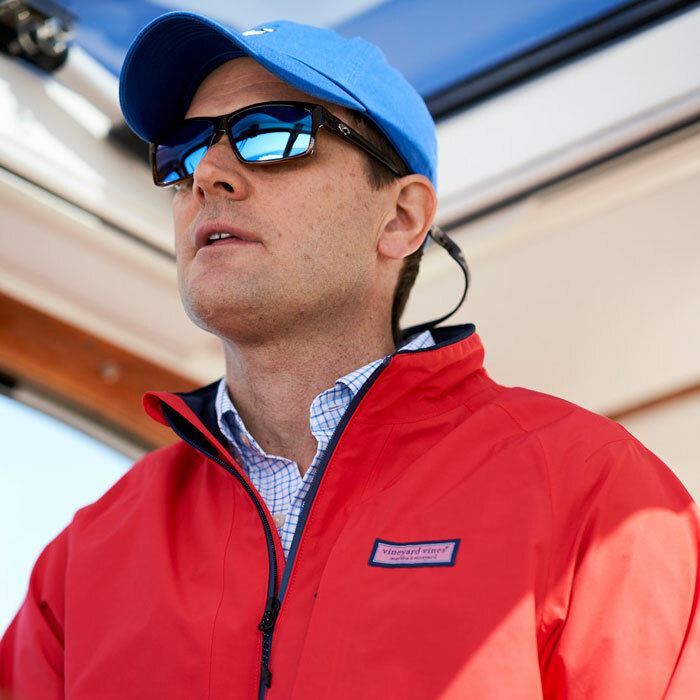 My earliest memory of it was when I was 5 years old, driving a 13-foot Boston Whaler with my dad.” After pursuing music after college, Scott eventually realized his heart was in boating so he returned to school for a degree in yacht design. When the guys opened their first store in Greenwich, Scott received an interesting phone call. “Ian called me and said, ‘Hey, so we’re gonna put a full-size boat in our store.’ I remember the dead silence on my end of the phone.” While Scott initially tried to tell Ian it wasn’t going to happen, Ian quickly came back with an ambitious six-week deadline. Scott’s team ended up putting a 16-foot half hull of an Endeavor J-class in the first store. Then they built the cash-wrap, which was basically half of a sailboat. 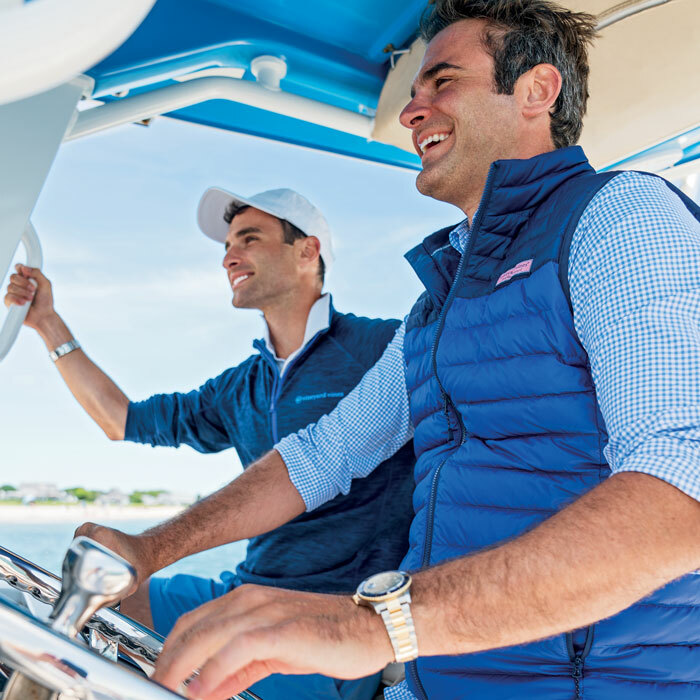 If you visit any of our stores today, you’ll see that the boats remain part of the décor. Scott has made sure to pass down his love of the water to his kids. Henry, 9, pushes his dad out of the way so he can drive the boat, while Jane, 12, loves to swim and is always in the water.